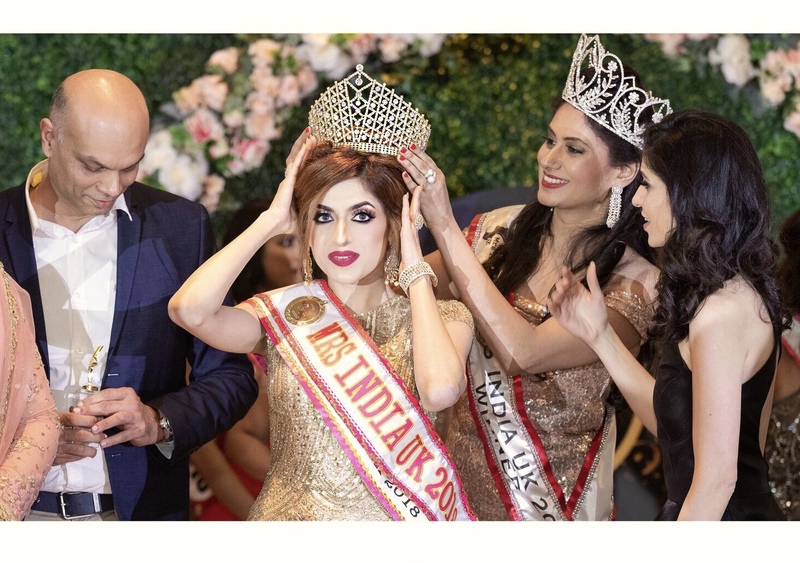 An Indian beauty entrepreneur was crowned Mrs. India UK at a glitzy event in London on Sunday (April 15), making her country proud. Urvashi Salaria Chawla from Delhi, India is the winner of "Colors TV UK presents Mrs. India UK 2018 organized by BrandWok". Academically Urvashi is a journalism graduate, worked in the aviation industry, a beauty blogger and now a successful entrepreneur in the makeup industry who owns Sakshi & Urvashi Beauty Studio in Delhi, India and is an esteemed Asian Bridal Makeup Artist in London. Urvashi got married back in 2013 and thereafter moved to London with her husband. After moving to London and having a well-settled job in the UK, she decided to follow her passion for make-up. She then opted for setting up a business in India which called for strenuous frequent travels. With her hard work and persistence, Urvashi settled a beauty business in Delhi with her childhood friend Sakshi, and this is where her success story took off. She became a very successful and leading entrepreneur in the beauty and makeup industry within a very short span of time. She is also an environmentalist by nature who believes in spreading awareness about climate change. She has been doing a lot of plantation drives in Delhi and also has been closely associated with volunteering in environmental activities like WWF Earth Hour campaign. Urvashi believes in expressing the notion of "beauty with a purpose".